Thank you for your interest in volunteering with IDignity Osceola as we work to restore hope and dignity by providing identification and identification documents. 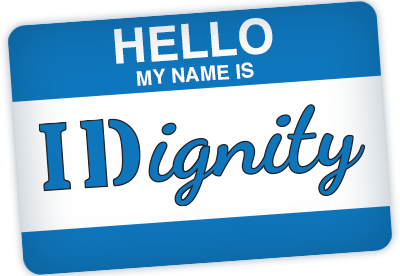 Volunteering at an IDignity event is an experience like no other! At events, volunteers will interview clients and assist them in completing surveys and applications to help them obtain identification and identification documents. Attention to detail, good handwriting, and a compassionate, patient disposition are key skills to enjoy your experience, and to make sure our clients truly feel cared for. At IDignity, rather than distributing items to get clients through the night, we help them complete complex forms and interface with government offices to take the intimidation out of getting ID, which has life-long impact. If you would like to view a detailed list of volunteer positions/duties in order to indicate a specific assignment preference, please click here. Registration begins at 7:00 am, with a brief orientation at 7:30 am. PLEASE NOTE: New volunteers are required to attend the orientation. Following orientation, there will be training for each service area. Due to constantly updated information, volunteers must attend this training. Client admission begins at 9:00 am and closes at 1:00 pm. Events are scheduled to end at 4:00 pm. Some volunteer areas finish before this time, but we ask that volunteers check with their station leads before departing. Volunteers are asked to be available for the entire event. If you need to leave before the event ends, please consider volunteering for a future event. If you cannot be present for the training period, please consider volunteering for a future event. Shortly after completing the volunteer registration form, you will receive an automated email confirmation. A reminder email will be sent the week of the event with additional details including parking information. If you have any questions about volunteering, please contact us at idignity.osceola@idignity.org, or at (321) 430-7541. I agree to be available for the entire period of the IDignity Client Services event (7:00 AM to 4:00 PM), or until such time as my Service Area Lead dismisses me. If you're volunteering through your employer or another group, please let us know. Please assign me where I'm most needed. If available, I'd prefer to work in a specific area. I'd like to serve in the same area as last time. I can't stand for extended periods of time. I can't sit for extended periods of time. I have a disability that requires special accommodation. Volunteer Registration – seated/standing position. Two volunteer staff the Volunteer Registration area at all times. Queue – standing position, inside. First interaction with clients. Intake – seated position with high level of interaction with clients. Substantial amount of reading and writing. Must have neat/legible handwriting. Legal – seated position with high level of interaction with clients. Substantial amount of reading and writing. Must have neat/legible handwriting. Out-of- State Birth Certificates – seated and some standing positions. Requires high level of detail and interaction with clients. Must have neat/legible handwriting.